What would you say about a woman taking the stage with her two husbands who are really the same 900 year old person? 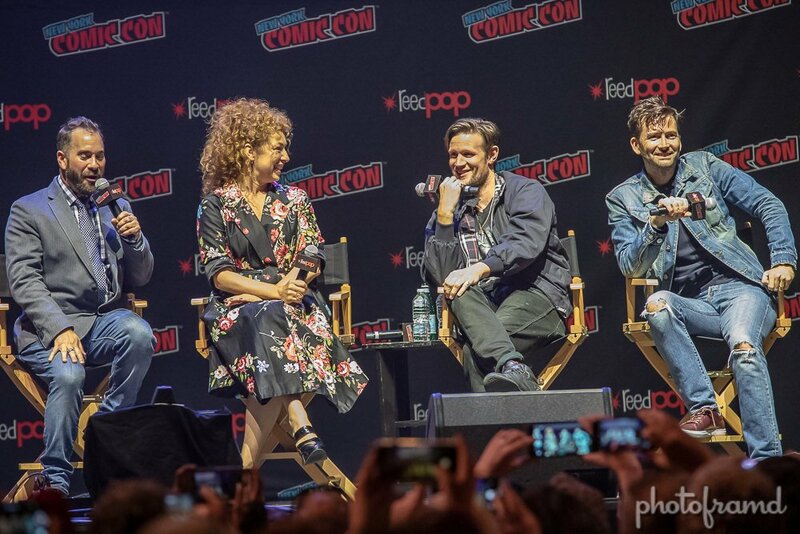 It must be a Doctor Who panel with Alex Kingston, David Tennant and Matt Smith! While it was great to see them together, I do have to fault Hammerstein. There was a huge overhead screen which was not used. People in the expensive floor seats had a tough time in the flat layout seeing the group. In fact, all of my shots were taken overhead using the video preview screen. Take a look. Be sure to look at my photos from the NY Comic Con floor!